Heidi was raised out in the country by the little town of Bern, Kansas, which had a population of about 200 people. Her dad farmed the rolling hills and her mother worked at the bank in town. Jeff, Jay, Holly, and Carmen completed their Baumgartner family. They had a wood stove in the kitchen to help heat the big ol’ farmhouse. In the summer there were thistles to cut in the pasture, and also a large garden and truck patch to care for. They used corn knives to cut weeds in their milo and bean fields. They were involved in the local school activities and Heidi graduated from high school with fifteen classmates in 1985. Her family went to the Bern Apostolic Christian Church in the country a few miles from home. They enjoyed shopping trips to Topeka, which is where she ended up in nursing school after her freshman year at Kansas State. When Heidi was in high school, she used to sew for other people and loved to cook for her family… especially baking breads and desserts. One time she tried a green tomato pie, which was NOT a hit. After marrying Jeff and moving eight hours away to Indiana, she continued sewing for their growing family of girls. Now, her machine usually stays in the closet except for mending. Some of Heidi’s favorite things are reading the Bible and other good books, working in the garden and flowerbeds, spending time with family and friends, browsing second-hand stores, cooking with fresh farm ingredients, and playing scrabble with Jeff and Jalen… unless they get too serious about winning! Back in 2010, Mike & Jody and Jeff & Heidi opened up the Homestead with a dream for the bulk foods, bakery, deli, catering, and gift shop. 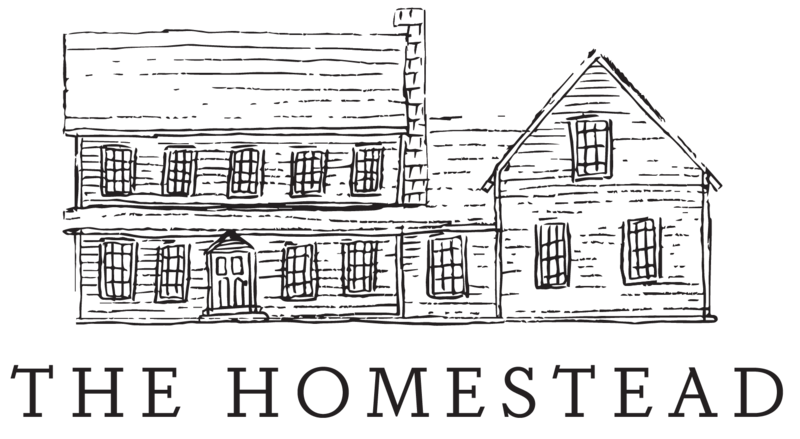 They had eleven girls between their two families, and every one of them has worked here at the Homestead- some more and some less. It was a business venture for the whole family! Heidi’s position has gone from part owner to employee, which allows her to still do what she loves: ordering bulk foods (and a few other things! ), but it doesn’t carry as much stress. Besides ordering the bulk food, Heidi also packages, prices, and stocks it. Ultimately, God is Heidi’s inspiration day in and day out. She is also inspired by things that are timeless, which fits pretty well with her practical mindset. For example, if she sees a new recipe, it will get five stars if it 1. has healthy ingredients, 2. tastes great, and 3. is economical! Heidi feels blessed with God’s presence in her growing family’s lives. Life is full of opportunities every day to serve those whom God puts in our paths.